When Susan Burgess’ son gets himself into a world of trouble, her brothers return to their hometown of Shirley Falls, Maine, where the long-buried tensions that have shaped and shadowed their relationship begins to resurface in unexpected ways. 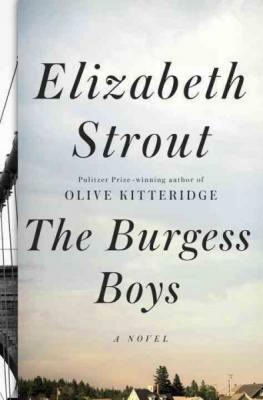 …fluid and compassionate … There is a geographic extension of the Burgess boys’ rivalries in the complex tensions between Mainers and New Yorkers, and it’s hard to think of anyone more convincing on this subject than Elizabeth Strout. Tough, blunt Susan bears some resemblance to the magnificent Maine character of Olive Kitteridge. The brothers themselves have divided emotions when it comes to their old home: the familiar landscape makes Bob ‘unutterably happy,’ while Jim finds the bleakness ‘unbelievably depressing’ … Strout handles her storytelling with grace, intelligence and low-key humor, demonstrating a great ear for the many registers in which people speak to their loved ones. Shirley Falls represents many places where the manufacturing industry has died, the young people have left and newcomers, in this case Somali immigrants with memories of atrocities and loss, have made their homes … This is not a story of good versus evil but a complex and bold examination of political and family relationships, of the long-term effect of guilt and lies, of people's motives and failures and muddled intentions. The image of the half-thawed bleeding head persists, like the yellow house on the hill, as strongly as anything in this engrossing, memorable and, despite everything, hopeful bulletin from Shirley Falls. The awful act in The Burgess Boys is so strange that the book can hardly accommodate it. Shirley Falls has a sizable population of Somalis, or, as bigoted local residents call them, ‘Somalians.’ Maine has lost much of its young work force, and these Somalis are drawn to its peace, quiet and lack of political strife. 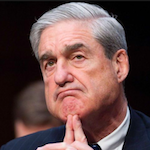 But then — and you may have to read this sentence twice — Zach mischievously rolls a frozen pig’s head into their mosque during Ramadan … While Ms. Strout espouses empathy with the Shirley Falls Somalis, she draws them without much specificity. She creates no serious reaction to Zach’s assault on them. And she gives one Somali man, Abdikarim, such preternatural kindness that he cares more about Zach’s well-being than his own group’s … For all its potential and Ms. Strout’s proven skill, The Burgess Boys asks too many questions and offers too few interesting answers. What did you think of The Burgess Boys?